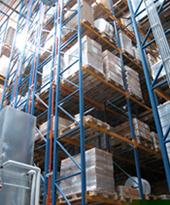 StockTrack provides a new, easy, and cost-effective solution for managing your inventory. StockTrack uses the Microsoft Access database combined with state-of-the-art portable bar code readers, both configured with StockTrack software. No programming is required with StockTrack's Access database. Microsoft Access gives you the flexibility to modify reports, produce graphs from the data, perform queries, and export the data to virtually any system. StockTrack's ability to print and read bar codes provides the accuracy, speed, and ease of use necessary for improved inventory control. With the fully integrated StockTrack system, you can begin tracking your inventory within minutes. StockTrack is an easy-to-use Windows application. StockTrack offers the latest technology at an attractive price. Quickly and easily track inventory in stockrooms & supply rooms.